I’ll first clue you in as to why there’s even a yoghurt week in the first place. It’s all thanks to Chobani Australia (and Kristy, from Southern In-Law, who passed my details on to Chobani!)! Chobani Australia contacted me a few weeks ago and offered to send me some of their Greek yoghurt to sample. Of course I accepted the offer, but I didn’t expect to receive a gigantic box full of 12 pots of fruit-flavored Greek yoghurt, a huge tub of plain Greek yoghurt, a set of popsicle molds, and an organic cotton oven mitt and apron! I was speechless and feeling extremely lucky to have received this generous gift. I was especially excited about the oven mitt too – how did they know that I was in dire need of a new oven mitt? I actually almost bought one a few days earlier, but decided against it. 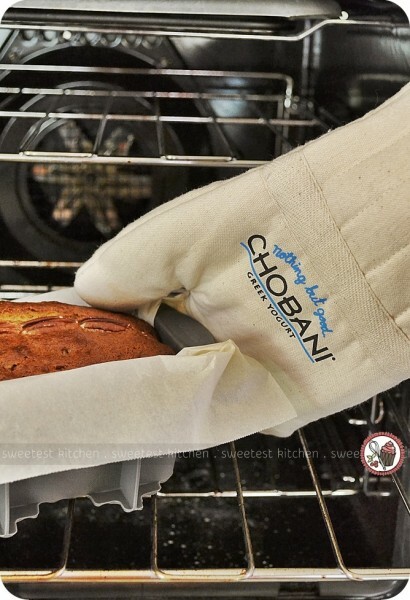 This Chobani-branded oven mitt is a real winner, so I’m glad I didn’t buy the one I was looking at before. Anyway. I’m going to kick yoghurt week off with the very first recipe I baked using Chobani Greek yoghurt – banana bread! Or is that, CHOnana bread? The recipe is based on one from Martha Stewart, I just replaced the sour cream in her recipe with Chobani 2% Greek yoghurt, and added an extra banana (the smallest one from the bunch). And let me tell you, I’ve made so many loaves of banana bread in my life that I thought were delicious, but they were nothing compared to this CHOnana bread. I’ll never be baking any other banana bread recipe again, as this one is just out of this world. Even the batter was irresistible. The bread was so moist and bursting with the flavor of bananas. Pecans were a wonderful addition. You won’t be able to tell this has yoghurt in it, but I guarantee you’ll be able to taste a slight tang. It brings the bread to life and makes it stand out from all the other recipes I’ve tried. If you’re after the perfect banana bread recipe, give this one a go – it won’t disappoint! Use Chobani brand yoghurt if you’re able to; otherwise, aim for a good quality, thick and creamy Greek yoghurt. 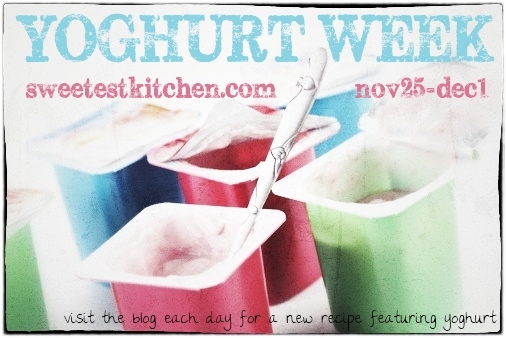 Thank you for having a look at the first recipe of yoghurt week! I hope to see you back tomorrow for the next one! 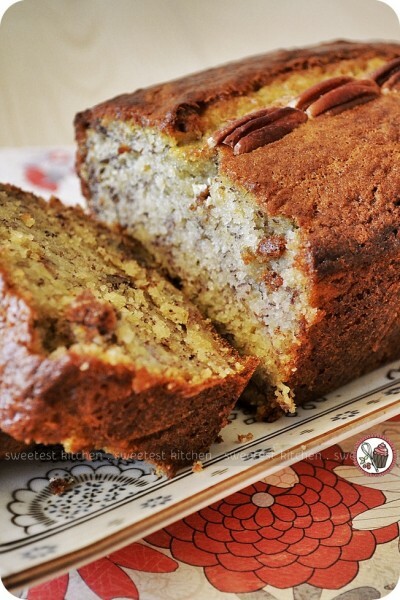 A delicious recipe for banana bread that uses Greek yoghurt. In a medium bowl, whisk together flour, baking soda, and salt. Add to the butter mixture, and mix until just combined. Add bananas, yoghurt, and vanilla; mix to combine. Stir in pecans, and pour into prepared pan. Bake until a cake tester inserted into the center of the cake comes out clean, about 1 hour. Let rest in pan for 10 minutes, then turn out onto a rack to cool. Yum! This looks divine! Chobani was made for banana bread/muffins/anything 😛 My cho-nana muffins are my go-to recipe so it must be the Chobani that’s the secret weapon! Love this site. I’ll be trying most of the yogurt recipes. Thanks for sharing.